First off, I'm a huge fan of black and white and gingham, so that combination was a draw. And then there are those gorgeous pink flowers. What's not to like? I have a gingham background stamp from another company which I've never used, so I thought it would be a perfect opportunity to get it out. It was, however, a big disappointment. After five different black ink pads, and five pieces of paper, I still didn't have a clean image. No black and white gingham in my paper collection either, so I went digital, finding just what I needed at The Lily Pad--a gingham collection by Allison Pennington. Once I had the gingham paper, the rest of the card came together quickly. The bouquet of flowers was stamped and die cut with the "Mixed Bouquet" set and put in a "Vogue Vase" stamped in black. I arranged the flowers in the vase and added it to a "Mix and Mat Scalloped" die cut on Fresh Snow Linen. I layered that onto the gingham, and then onto a top-folded card cut from Lovely Lady paper. All that was left to do was emboss the greeting from "Birthday Basics" on a vellum banner. It's a bit hard to tell, but the tiny pink flowers have Nuvo drops in yellow added to the center of each flower for a little dimension. I think I'm likely to use this design again with different colors of gingham paper and any variety of flowers in a vase. Much more my CAS style than yesterday's Make It Monday card. I'm also linking this up to Seize the Birthday. The topping challenge this round is Patterned Paper. Today marks the halfway point in the 100 Day Project---gotta say it went really fast. There were several prompts that arrived with the email this morning: What are you learning (about yourself or your process)? What's working? What isn't? What would help? What do you want for the next 50 days? I've definitely kept with my original goals for the project: trying new techniques, using new stamps and tools, digging out old favorites . . . Interestingly, I've also been inspired to do some purging, and a lot of reorganizing of my supplies to make it easier and quicker to find what I need/want. Traveling definitely put a damper on the process, so I added watching technique videos to the list of "acceptable" projects for a given day. And that's proven to be helpful, too. I've averaged a card every other day the last two weeks---most of them being made in the last week since things were really hectic when we first got home from Chicago. Some of them I've shared here, here, and here. Some days I worked on a technique but no card was made; some days I made cards with images I created earlier. I'm hoping to keep up the same pace for the next 50 days, knowing there are two trips during that time as well. For my birthday I received several gift certificates to online stores so have had some new playthings arrive in the craft room. I thought I'd share two cards made with one of them today. Some others will show up shortly. One of my good friends gave me a gift certificate to Simon Says, and I used it to purchase some new blending ink pads by Wendy Vecchi. Blending inks is one of the techniques I've been working on during the #100DayProject. My initial impression is that they are much easier to use than a regular dye ink pad, but we'll see how they do in different situations. One of my next projects involves a technique which a bit more difficult than using them with a stencil. Once I ordered the ink pads, I got busy and repackaged and rearranged my stencils so it would be easy to flip through them. They are now all in the clear storage envelopes by Avery Elle in an open box instead of piled up in a box with a cover. What a difference it makes. I've rarely used my stencils just because it took so long to dig through them. 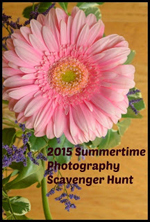 I'm linking up the first card to this week's challenge "Inspired By: Floral Clusters." For the first card, I pulled out a Simon Says stencil, " Zig Zag Dots," and blended some Cornflower Blue ink creating a subtle ombre effect from the top to the bottom. The beautiful circular diecut is Papertrey Ink's new "Shape Shifter Circle 2." I layered flowers and leaves stamped and die cut with Papertrey's "Botanical Bounty" set to the side, and added a sentiment from an older Simon Says set, "Thanks." I worked on blending inks here, too, with the Papertrey Inks, following a tutorial by Lizzie Jones for Papertrey's Make It Monday challenge this week. I originally thought the Detail Blending tools would work well with these, but it turns out it they don't work as well as the Mini Round blenders. Here you can see the difference the blending makes. (Excuse the glare from the lights; the photo was taken at night in my craft room.) No blending on the top flower; blending a second color on the bottom flowers. I've certainly not mastered this technique but it's a start. Here's the second stenciled card. Another thank you note since I'm gratefully in need of a few more. For this card, I blended two colors of ink through a Crafter's Workshop "Mini Squirreley." I die cut the main panel with a Simon Says "Stitched Rectangle," and die cut a banner from the "Stitched Banners"set. The sentiment is from a new-to-me Papertrey Ink set, "Thank You Kindly," that was on sale because it is being retired. I don't ever remember seeing it before, and it is chock-full of great thank you sentiments in a wide array of fonts. I know I'll use it a lot. I added three enamel dots as a tiny embellishment. I'm hoping to have a card ready for the Papertrey Make It Monday challenge and the Papertrey Blog Hop on Friday. Tomorrow is a busy day, so there won't be much crafting time. Friday, however, is a rare day with nothing on the calendar, so I haven't given up hope. 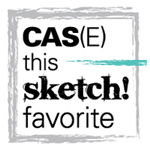 CAS(e) This Sketch: Back-to-Back Birthdays! My great nephew and great niece have back-to-back birthdays this coming week. I think it's so interesting that my niece has two children whose birthdays are one day after the other, and my daughter's children share the same birthday. I needed to get the cards in the mail today. I made Finn's a few weeks ago for one of my #100DayProjects. For Rowan's card, I used this week's sketch at CAS(e) This Sketch. As soon as I saw the sketch, I knew it would be a perfect first birthday card, but I wasn't sure I had a cupcake image the right size. But in a quick search, I discovered this cupcake in "Tremendous Treats: Birthday" by Papertrey Ink---another set that I've had for a long time, but haven't used in an equally long time. I started by die cutting a piece of Neenah Solar White cardstock with a "Stitched Rectangle" from Simon Says. Then I stamped the outline images with Hibicus Burst ink and set that aside. I stamped another image in black ink, added Nuvo Glimmer paste to the top of the cupcake and let it dry. Then I colored the cupcake liner and the star with Copic markers and fussy cut it. I embossed the sentiment from "Wishes Come True" (PTI) on Hibiscus Burst and created a banner with the Washi Chomper by We R Memory Keepers. The focal point was added with some dimensional dots and everything adhered to a Raspberry Fizz card. Here's Finn's card. Like many three year-olds, he's obsessed with trucks, so the images from Papertrey Ink's "Truckin' It," seemed just right. It's a set I bought when Caleb was little, but had never used. The striped pattern paper on the bottom of the card was in my stash, but not with the paper pad it came from. The sentiment was stamped on a Pure Poppy banner die cut with Tag Sale #10 (PTI). The tiny three on the fire truck is from a Cocoa Daisy kit from my scrapbooking days before Project Life. I must say the goal of #100DayProject to try new techniques and make use of new or long neglected stamp sets is proving to be pretty successful! 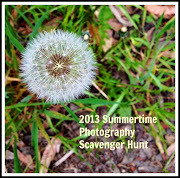 I'm joining Mary-Lou this week for her meme, Take Three Thursday. This week I had several options, but decided to share three photos from the Lilac Festival. It's in the middle of it's 10 run, and we walked over last night to grab a bite to eat, and see the flowers. With the cold April, I wasn't expecting to see one of the most beautiful displays of lilacs we've seen in many years, but there it was. In addition to lilacs, there are gorgeous magnolias (usually finished by now, but not this year,) and a lovely path through azaleas (and soon to open rhododendrons.) It was hard to decide which photograph of the lilacs to share. I have some beautiful close-ups, but this one gives you an idea of how lush the bushes are this year. We're really enjoying almost perfect spring weather right now. Tuesday we had a day of much needed rain, but it's been clear and sunny with that exception. I finally got our pots for the front yard and the patio planted this morning. We've already begun enjoying a cup of coffee or a glass of wine on the patio. That's when I know winter is over! I pulled out an old, old embossed card by Lasting Impressions and added a vase of flowers and a banner sentiment to make a birthday card. I used some "Simple Stems" and a "Vogue Vase" by Papertrey Ink to pull together the focal point. All the stamped images were an earlier part of my #100DayProject. The sentiment was embossed in white on a vellum banner cut with a Spellbinders die and attached to the card with liquid glue under the two pearls at the ends of the banner. I left the middle of the banner slightly curved. The Lasting Impressions card came with a lovely red envelope, which worked out perfectly. It's also my birthday which we celebrated yesterday with a Mother's Day brunch. Today has been really busy, but it's a lovely spring day, and I've received many birthday greetings in the mail, on email and via texts. I'm a very lucky lady. This is the first birthday that's ever given me pause. This card from a blogging friend might explain it. But truthfully, I'm very grateful to have had 70 fabulous years, and hope to see many, many more. It's down to the last few days, but I finally have a card for The Card Concept Challenge---Bold Flower. And since the stamped images are from Concord and 9th, a entry into this month's challenge: "Floral" at Where Creativity Meets C9. The main flower in the inspiration photo for The Card Concept is red, but mine are bright yellow. They were stamped with Concord and 9th's "Wildflower" stamp set on watercolor paper that I had tried the smoosh technique with Distress Oxide ink for the #100DayProject. I really didn't love them until I added some highlights with Copic markers, and laid them on the Memory Box licorice card. Suddenly, I saw a card! Just by chance I found the die cut "Celebrate" in my die cut envelope cut in just the right color. I'm pretty sure it's a Papertrey Ink die cut, but I can't find the die nor can I identify it by looking online. I have a much larger die in the same font, but not one this small. So strange. . . The only embellishment were three black Amuse pearls in the center of each flower. One thing I love about Memory Box cards is the white interior which makes it so much easier to add an inside greeting. I'll wait until I know who the card is going to before adding that. Keeping up with the #100DayProject has been more challenging this week since most of the week we've been at Sarah's. She has accepted a new position which means another move, this time to Wisconsin. We're here helping to get organized, and Tracy is busy painting some walls Sarah and Adam painted when they moved into their rental. We've also been house hunting, and that has been successful. Their purchase offer on a lovely home was accepted on Saturday. So the only card I have to share this week was made before we left home. It's a card for Caleb's kindergarten teacher who has been simply wonderful. We met her in October, and knew right away that she loved her job and loved kindergarteners. I give her a lot of credit. It's the one elementary grade I never taught in my 37 years of teaching---absolutely by choice! We've been able to watch Caleb grow this year through an app called "Seesaw." Nearly every school day, his teacher (or he) takes a photo and posts it to the app. 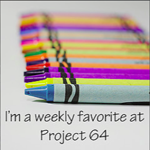 We can see his work, watch videos, and hear him read his weekend reports each Monday. Tracy and I wanted to tell her how much we've appreciated her hard work. I started by die cutting a piece of Pure Poppy cardstock with the "Big Apple" die from Papertrey Ink and used New Leaf and a piece of Bitty Big patterned paper to cut the leaves. I found an old piece of Teresa Collin's patterned paper in my scrapbook stash which I cut to fit a top folded white card. The large banner was cut from a piece of striped vellum from Papertrey's Sheer Basics, and embossed with a sentiment from PTI's "Great Teachers" stamp set and attached it to the apple. The pencil was stamped with an old wooden stamp from Judith that I colored with Copic markers and fussy cut. I tied a piece of thin twine around the apple stem and used dimensional tape to add the pencil. I haven't had this much fun making a card in a long time. Both the die cut and stamp set are "new to me"---borrowed from a friend. Knowing I'd be away this week, I came prepared to work on colored pencil techniques. Tracy gifted me with an early birthday present, so I have a new set of Polychromos colored pencils to play with. I'm quite happy with them, but they require a different set of coloring skills than I'm accustomed to. Before I came I stamped (and embossed) some practice material. Thanks to advice on Yana Smakula's blog, I downloaded a color chart from the Faber Castell website, and used one of my #100DayProject times to color in the pencils I own. It's already proven to be very helpful in choosing colors to layer. I'm hoping I'll be able to use some of this practice material for cards once I get home. Here is last night's practice session. I was pretty happy with the flowers, but not as pleased with the leaves. Just one more day here before we head home. We had lunch with one of Tracy's high school classmates today and then a wonderful visit to the Chicago Botanic Gardens. I took lots of photos, so there will likely be a flower post once we get home. I don't think we've ever been there in the early spring before, and I got lots of ideas for planters and our gardens. Mother's Day in the U.S. is just one week from today. Typically, I would save my Mother's Day card to share on the actual date, but since it was inspired by the Freshly Made Challenge, and the challenge ends tomorrow, here I am! My mother-in-law does not read my blog to my knowledge, so I think it's a safe move. It's a great sketch with lots of possibilities. It's the beautiful "Butterfly Blooms" and "A Bit More Butterfly Blooms" by Papertrey Ink again. This time I embossed the butterflies in gold on vellum, I found the perfect piece of patterned paper in my stash and die cut it with a stitched oval from Papertrey's "Noted: Scalloped A2 Vertical" die set. I used the Simon Says "Reverse Polka Dot Background" stamp to create a subtle, tone on tone background and die cut that with a "Stitched Rectangle," also from Simon Says. I then layered the pieces onto a Vintage Cream card. Off to check out how others have interpreted the sketch. I don't often manage to do my five photos in five minutes on the 5th of the month, but I lucked out today taking a walk on the most beautiful day we've had so far this spring. Granted we're in Chicago, not Rochester. But nearly every yard is filled with beautiful flowering bushes and trees. So, joining in with Sandie, with her Five in Five meme. I admit to being spoiled. It was not easy to edit these photos on my tiny laptop after being used to editing on my iMac! All iPhone photos. Hope it's as beautiful where you are as it is here.